We built our own Frankenstein. We are spending countless employee hours tweeting, retweeting, responding to tweets, figuring out whom to follow, secretly following celebs and athletes, and designing custom Twitter backgrounds. Nobody forced companies to get involved with their customers in this way. There was no law, edict, or pitchfork-wielding band of angry citizens. We just did it voluntarily. And for what? Certainly not because of the math. A new research study of 1,400 U.S. consumers from ExactTarget and CoTweet (they are clients) called Twitter X-Factors shows that just 5% of Americans follow even one brand on Twitter. By way of comparison, that’s approximately the same size as the Asian American population, and you certainly don’t see the media coverage, software development, conferences, and general hullabaloo about marketing to Asians. Put another way, the Twitter audience that’s connected to brands is just slightly larger than the population of Illinois. Can you imagine an “Illinois Marketing for Dummies” book? Or CEOs having thoughtful retreats in exotic locales to discuss their “Illinois strategy”? On the surface, the time and effort we’re spending cultivating our Twitter followings is flat-out ridiculous. But, dig a little deeper into the behavior of the core Twitter audience, and the perspective changes. The Iceberg Effect. The actual reach of Twitter is actually double the user base. 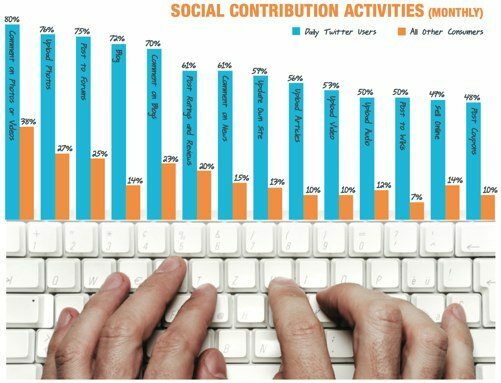 Due to embedding of tweets, people scanning tweets but not actually having an account, and tweets being picked up by search engines, 23% of consumers read tweets at least monthly. Interaction. Customer prefer Twitter as the mechanism to truly interact with brands and learn more about them. Facebook is preferred for information about the brand’s activities, and email is preferred for product updates. Think about that for a moment. Customers follow you on Twitter not to be informed, but to be interacted with. They follow you because you answer back and treat them like an individual, if only for 140 characters. But yet so many companies are using Twitter as a post-modern headline news service. Wrong approach. Nowhere to Run. Startling to me, but less than 1% of the participants would use Twitter as the first way they’d contact a company when they need customer service. However, consumers are much more likely to use Twitter as an escalation, meaning the people with whom you’re interacting on Twitter may already be frustrated with your organization. Influence. The online population that’s creating the content that’s influencing the rest of the world is on Twitter, period. Daily Twitter users are 300-400% more likely to write a blog, review products, upload videos, and every other social behavior, than are non-users. In fact, the research shows that 72% of daily Twitter users write a blog, 61% write at least one product review per month, and 53% upload videos. – Forrester published research earlier this year that said Facebook users (rather than Twitter users) were the source of much of the New Influencer population. Which do you believe? – Even though the numbers are small, is the Twitter effort worth it? 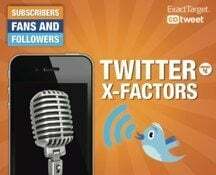 Check out the Twitter X-Factors study here.